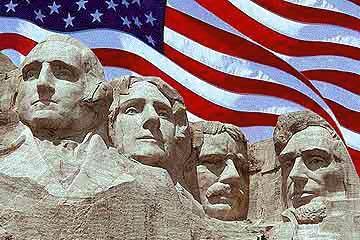 Happy Presidents’ Day From Koons Automotive! We hope you’re all enjoying your day off on this fine Presidents’ Day. In celebration of this national holiday, let’s take a few minutes to remember how our day off originated. Presidents’ Day was established to take one day to honor all American Presidents, but most significantly Abraham Lincoln and George Washington. Initially, a day was set forth to celebrate George Washington’s birthday but many also saw fit to honor Abraham Lincoln’s birthday which was quite close to Washington’s. In 1968, things changed as the 90th Congress created a uniform system for Monday federal holidays. The law took effect in 1971 to change Washington’s birthday to the third Monday in February. The resulting controversy was sparked amongst citizens, politicians and entire states refused to honor the change. In protest, several states such as California and Idaho named the day Presidents’ Day. Today, the name ‘Presidents’ Day’ is widely accepted. For those of you in the DC area, it’s a great day to visit the monuments! Posted on February 20, 2012, in History, Holiday and tagged Abraham Lincoln, birthday, celebration, George Washington, history, holiday, Koons, Krystal Koons, lesson, Presidents Day. Bookmark the permalink. Leave a comment.